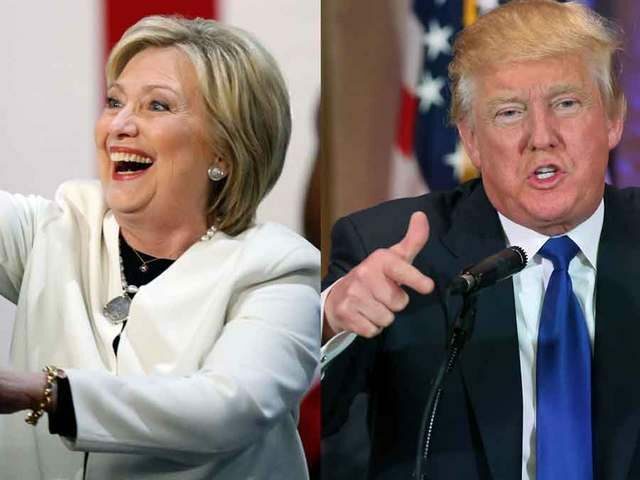 Clinton was the choice of 46 percent to Trump’s 42 percent, said Doug Kaplan, the managing partner of Gravis Marketing, the Florida-based polling firm that conducted the poll. The poll carries a 2.3 percent margin of error with a 95 percent level of confidence. Kaplan said Libertarian Gary Johnson was the choice of two percent, Green Party nominee Dr. Jill Stein, one percent. “This is another state where we saw a shift away from Trump,” he said. In our Oct. 4 poll, Clinton was up 47 to 45, but since then, Trump has lost support and Clinton has held hers, he said. In this poll, the presidential preference was asked once in the middle of the survey. “In a state Obama won by one percent in 2012, the Clinton camp will be celebrating this poll,” he said. The next chance for Trump to recover his positive momentum is the Oct. 19 Presidential Debate held at University of Nevada-Las Vegas, Las Vegas, moderated by Fox News’ Chris Wallace. “Can Trump pull an ‘art of the comeback’ with Fox host Chris Wallace as the debate host?–Of course,” he said. The referendum to legalize marijuana for medical use is on the ballot and has the support of 54 percent of the voters with 35 percent opposed. In 2014, a similar referendum garnered 57 percent of the vote, falling just shy of the 60 percent threshold required for the referendum vote to become law. Kaplan said the marijuana poll numbers show a real gender gap. “The ‘No’ side is effective with suburban women, when they emphasize the effects of marijuana on children,” he said. “It looks like it will pass this time, but barely,” he said. “We believe it will pass based on a younger demographic voting this year and a different campaign run by John Morgan.” Morgan is the founder and senior partner at Morgan and Morgan, a personal injury law firm with more than 300 attorneys in Florida and other states. Morgan has been the state’s leading advocate for legalizing medical marijuana, but in the 2016 campaign, he has stepped away from the spotlight. Kaplan said Florida does have a libertarian streak that has become more significant in the last 10 years. In the Senate race, Republican Sen. Marco Rubio leads his Democratic rival Rep. Patrick Murphy with 44 percent to Murphy’s 36 percent. The race is made more interesting by the 19 percent of the voters who said they were undecided. One clue of how the undecideds will break is in the favorables. Twelve percent of the voters have a strongly favorable opinion of Murphy and 20 percent have a strongly unfavorable opinion. Rubio is a much better known politician, who ran for his party’s presidential nomination, and before running for the Senate in 2010 he was the speaker of the state’s House of Representatives. Thirty-three percent of the voters have a strongly unfavorable opinion of Rubio, which is down from 44 percent in the Oct. 4 poll. Twenty percent of the voters have a strongly favorable opinion of Rubio, just about the same as the 19 percent in the Oct. 4 poll. In the Oct. 4 poll, Murphy’s strongly favorable was 13 percent and his strongly unfavorable 25 percent. “However, if you add his 17 percent somewhat unfavorable rating to his 33 percent strongly unfavorable–a 50 percent disapproval has to be concerning,” he said. The poll was conducted using a combination of automated telephone calls and an internet panel of cell phone users with the results weighted to match a proprietary turnout model.